13-37 ¿Qué pasaría si…? Los cinematógrafos están discutiendo las consecuencias de sus posibles acciones. Completa la conversación con la forma correcta. Para el próximo año, habrán producido más películas con actores hispanos. 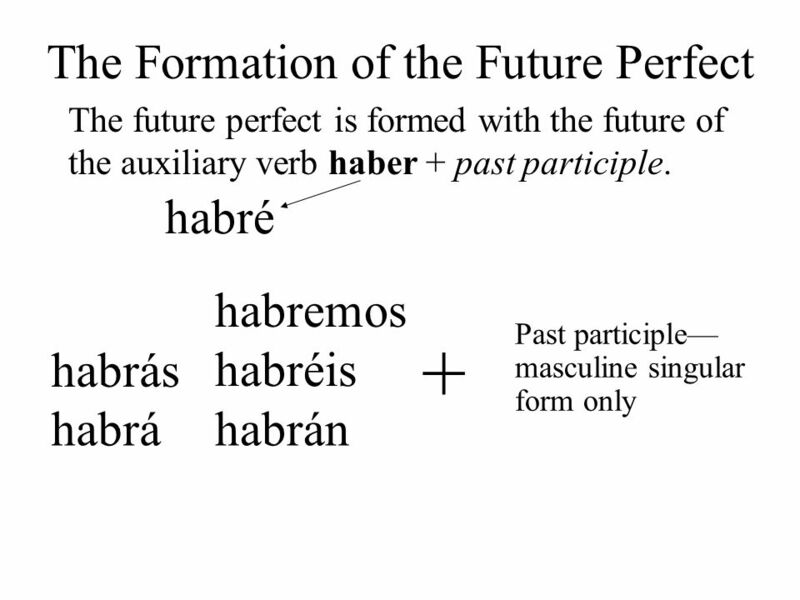 The future perfect is used to express an action which will have occurred by a certain point in time. ¿Salma Hayek habrá hecho otra película para el año que viene? Will Salma Hayek have made another film by next year? Sí, habrá hecho dos. Yes, she will have made two. 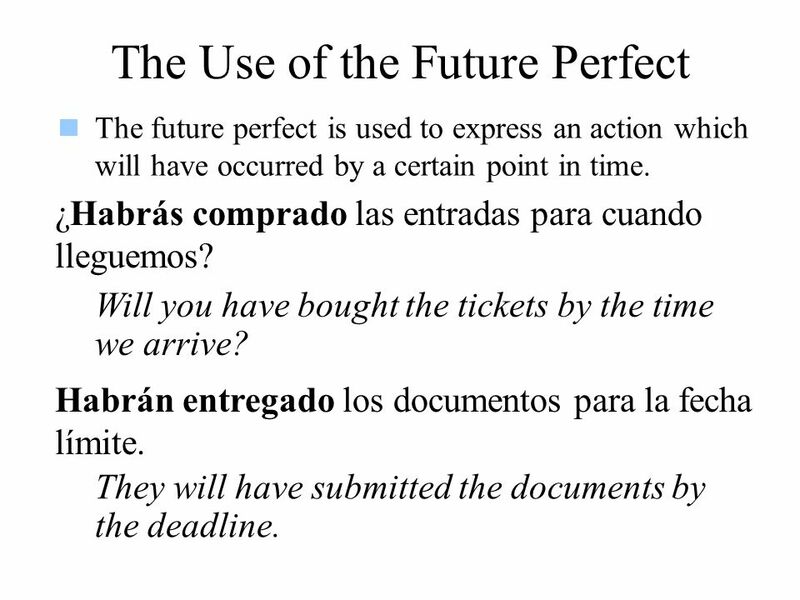 The future perfect is used to express an action which will have occurred by a certain point in time. ¿Cuándo habrás terminado el editorial? 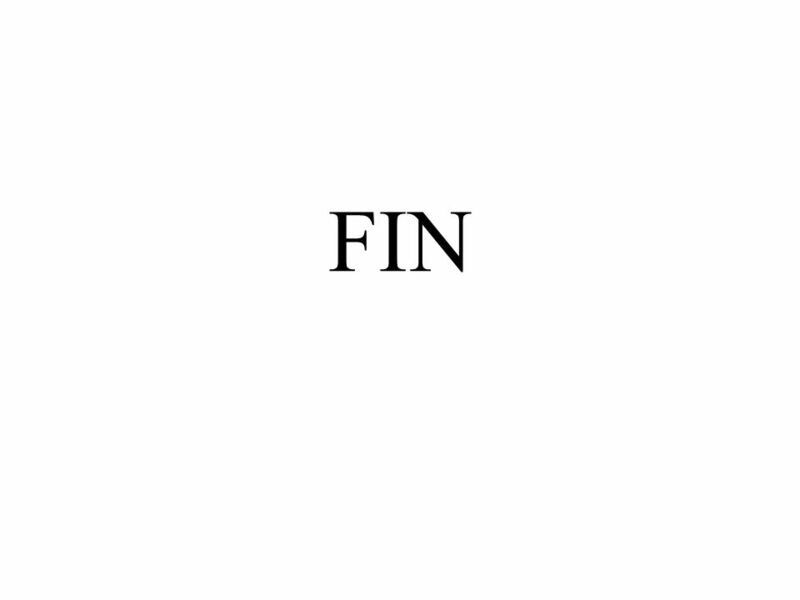 When will you have finished the editorial? Lo habré terminado en diez minutos. I will have finished it in ten minutes. 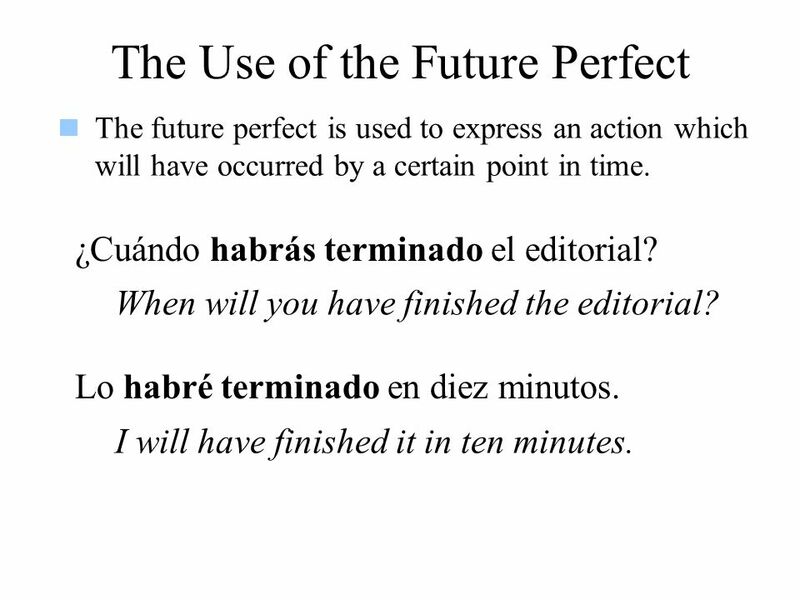 The future perfect is used to express an action which will have occurred by a certain point in time. ¿Habrás comprado las entradas para cuando lleguemos? Will you have bought the tickets by the time we arrive? Habrán entregado los documentos para la fecha límite. They will have submitted the documents by the deadline. 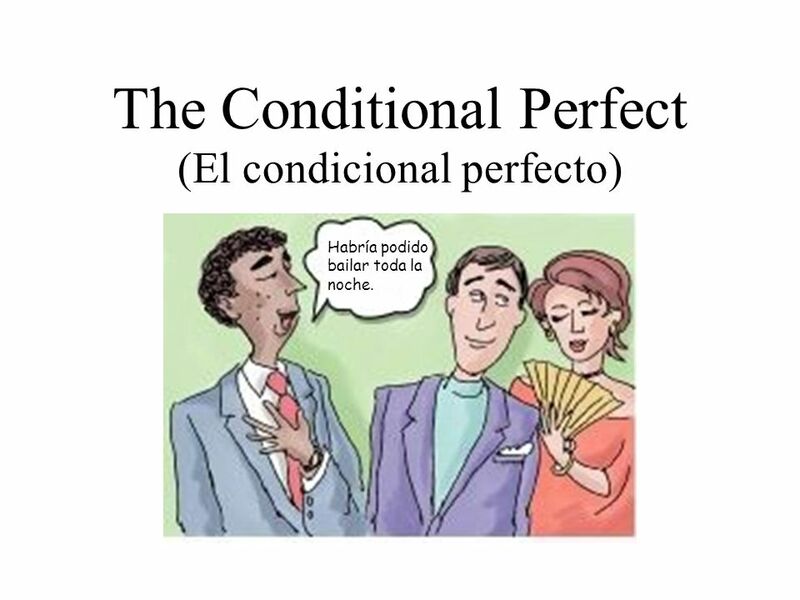 (El condicional perfecto) Habría podido bailar toda la noche. 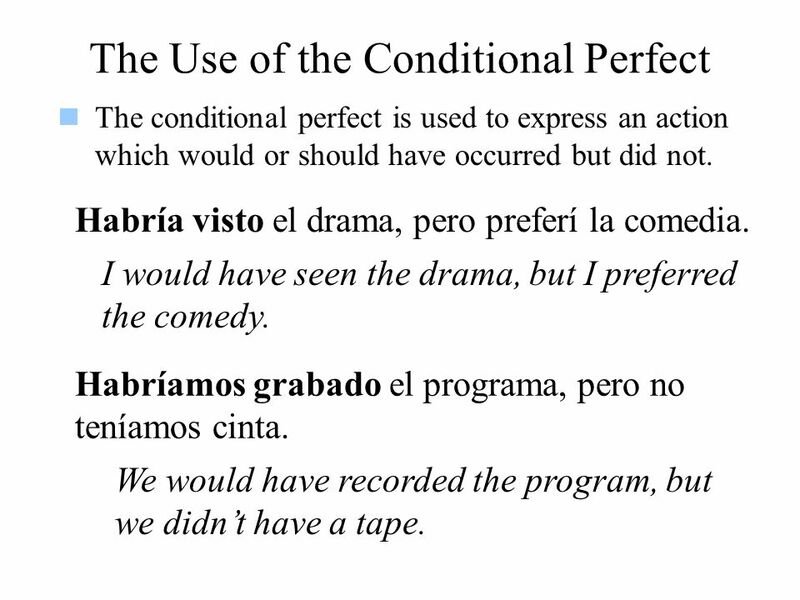 The conditional perfect is used to express an action which would or should have occurred but did not. Habría visto el drama, pero preferí la comedia. I would have seen the drama, but I preferred the comedy. Habríamos grabado el programa, pero no teníamos cinta. We would have recorded the program, but we didn’t have a tape. 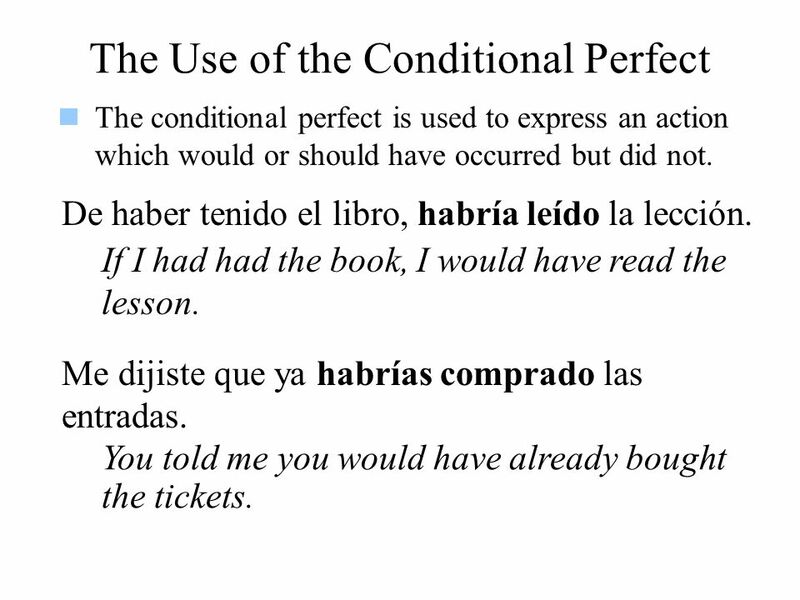 The conditional perfect is used to express an action which would or should have occurred but did not. De haber tenido el libro, habría leído la lección. If I had had the book, I would have read the lesson. Me dijiste que ya habrías comprado las entradas. You told me you would have already bought the tickets. 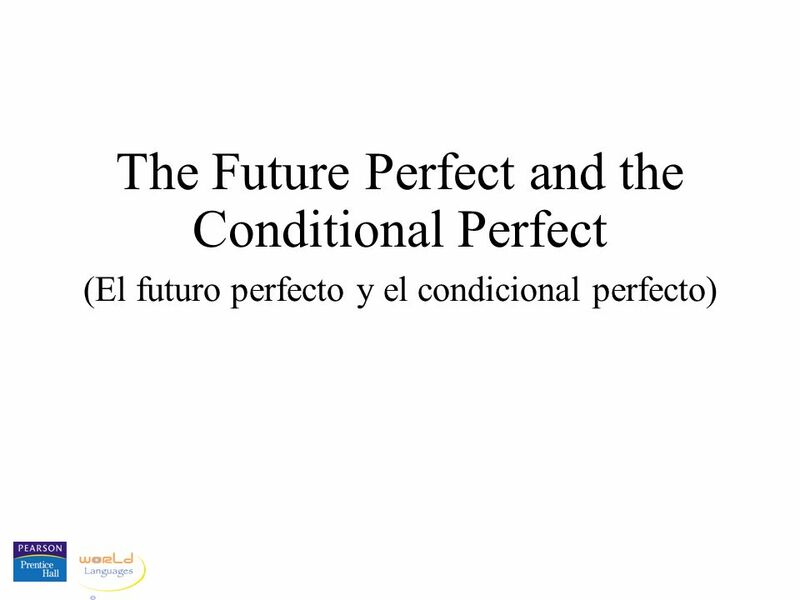 Descargar ppt "The Future Perfect and the Conditional Perfect"
Ir a… Saying what you are going to do. When you talk about things you are planning to do in the future, you say what you are going to do. To talk about. 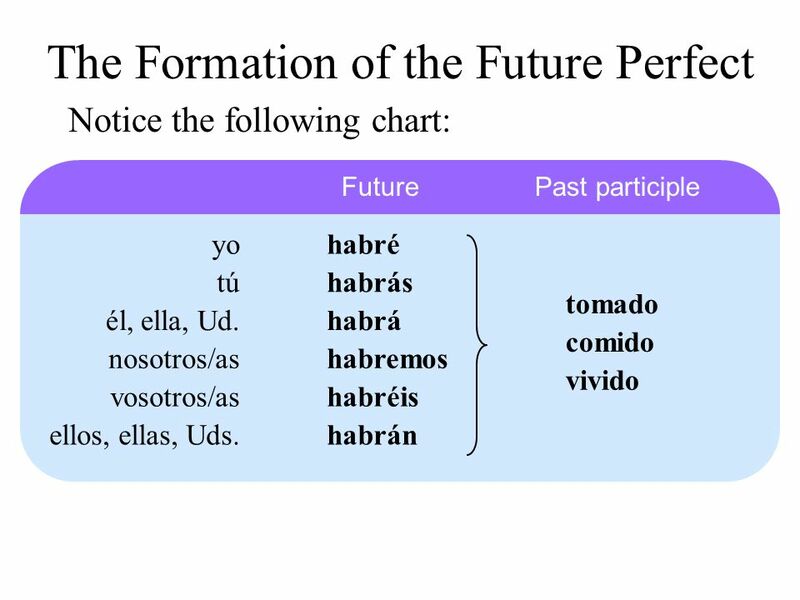 The preterite is used to express the past tense. 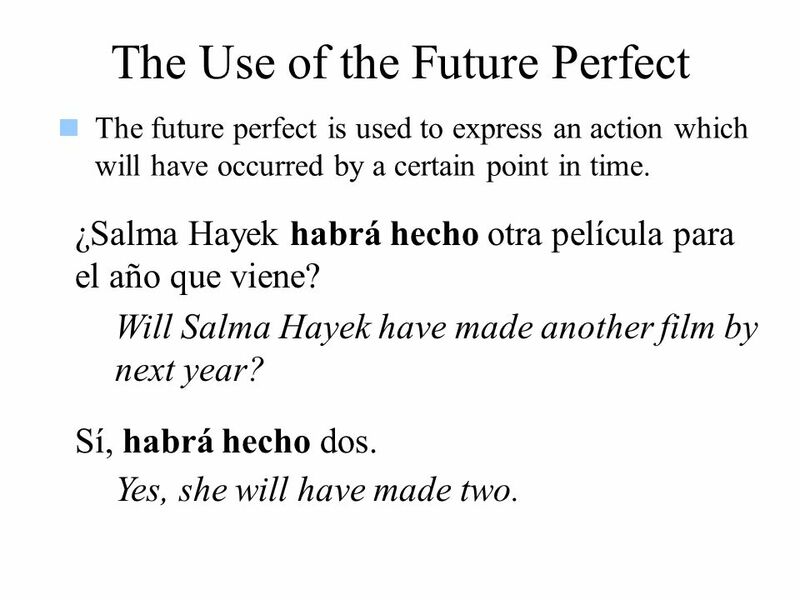 Page 5 Realidades 2 The Verb SER. 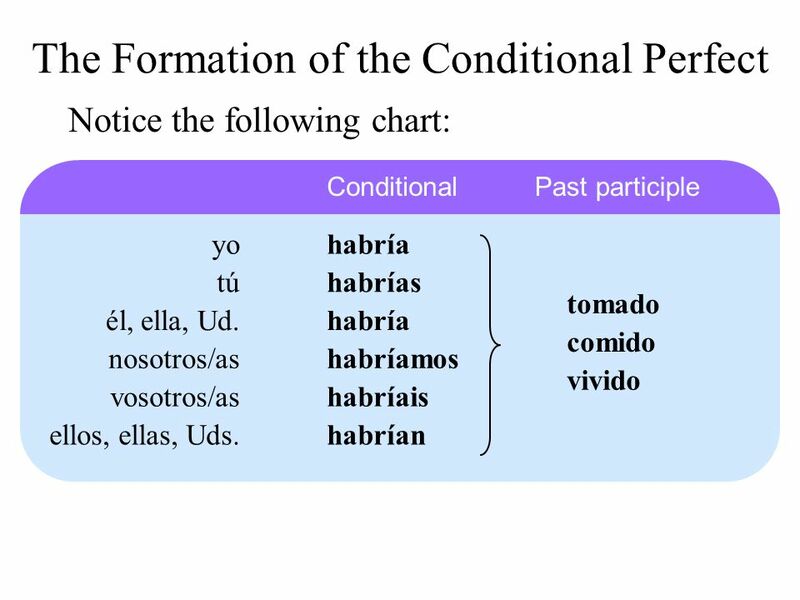 TENER - to have Yo tengo I have Tú tienes You have El/ella/ud tiene He/she has nosotros/as tenemos We have ellos/ellas/uds tienen They have. 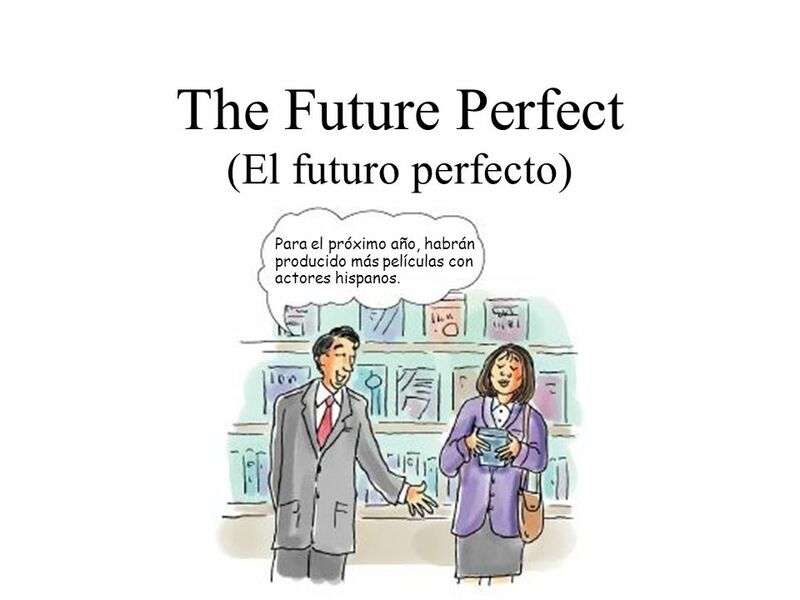 Present Perfect El presente perfecto. 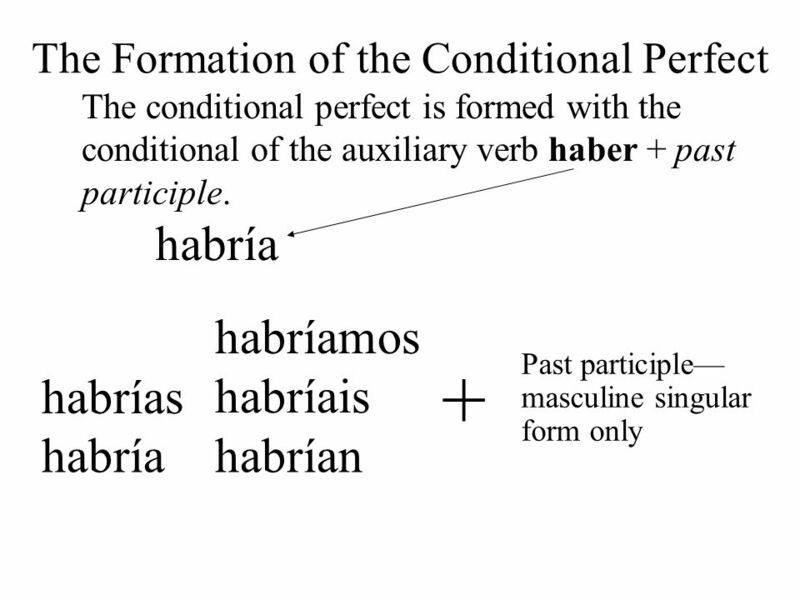 Haber The present perfect is formed using the present of the verb haber + past participle. he yohe has túhas ha.